Smoke, Fire, Sirens.. Firemen to the resque! Please refer to my CAR SYSTEMS 101 Article for quick introduction to car-systems. Although originally based on the Faller Car System, the sytem in use by Miniatur Wunderland today, uses propriatory technologies inclusive of Software, Hardware and vehicle processors, and while Gerrit Braun shares a lot of tips via his “Gerrits Tagebuch” blog, the technology is still closely guarded. All vehicles are able to check their right of way, stick to the “drive at right or left”-rule on the highway, stop at closed crossing gates, obey traffic lights, grant the right of way to fire engines with horn and lights on, and stop at pedestrian crossings. If stuck in a jam, they also let a car from a side street sneak in, and they also wait patiently behind trash trucks with frequent stops. There are also rowdies that race the street, get caught in a radar trap and shortly after that have to make an involuntary stop at the policeman’s stop sign. Buses make scheduled stops and at night all vehicles switch on their headlights. At dawn, the headlights are switched off again. just to name the basics! Do yourself a favour and visit Miniatur Wunderland to experience the ultimate in train ship and vehicle control – your mind will run wild! The purpose of this article is to provide an introduction to available systems as well as offer some tips to get started. While each component is discussed in detail in other related Articels, for the purpose of this article I want to highlight two sub-systems that ultimately make a CAR System functional. While there is no single system that stands out above the rest, my personal opinon is that the typical modeller will have the least issues with the Faller, DC-CAR and/or the Tomytec bus system. While the Faller system is certainly the most well known car system, it lacks in a number of areas, with “out of stock” inventory and limited automation modules probably being their biggest drawback. I might be wrong, but I have a strong suspicion that Faller sells the bulk of its inventory to Miniatur Wunderland, thus not really caring about the rest of the market (for now). Faller’s V3 car system promises a level of control not previously available. however it looks like it is limited to HO for now. The Dynamo MCC system is functional, but I have found it difficult to source components outside of Europe. Your miles may vary. The DMCC Car system works with Faller vehicles. Open Car, based on open source hardware/software is work in progress with functional modules available. Very promising, but currently lacks some commercial. 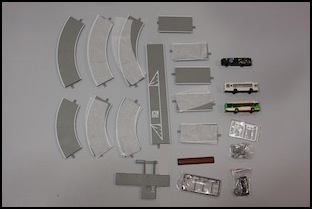 Anyone who’s been involved in model railroading for any length of time has probably heard of the Faller Car System, a set of motorized road vehicles and related accessories. Vehicles and accessories are available in HO and N-scale (1:160). The Faller system is based on vehicles with rechargeable batteries and the use of electromagnets to make the vehicles stop or turn at traffic lights, intersection, etc. Sadly there are not a lot of N-Scale vehicles available at this point in time due to limitations in miniaturation. HO modellers will be happy to learn that the selection of HO vehicles is considerably more, although availability outside of Europe remains a problem. The Faller system was the first one to introduce independent vehicle movemement (speed is determined by vehicle, while following the road by means of a ferrous wire in the road surface). A magnet on the steering mechanism ensures that the car follows the guide wire hidden under the road surface. 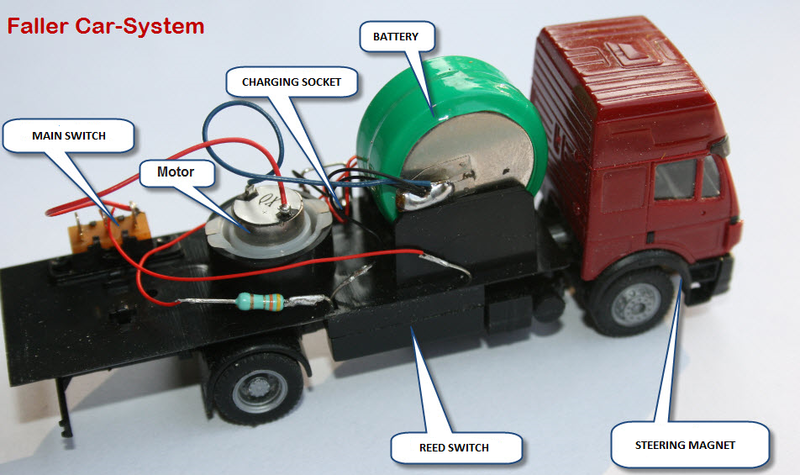 Each vehicle is fitted with a rechargeble battery, and the vehicles can be influenced externaly with the use of “Reed” switches. 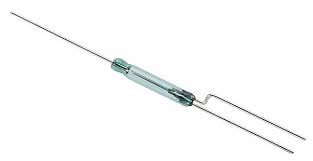 A reed switch has one or more contacts that are closed/opened by a magnet (magnetic field). For better control, electromagnets are used instead of permanet magnets. Thus using electromagnetic coils (placed at strategic points under the road survface), it becomes possible for the vehicles to be stopped at say athe place where these, so called. stop coil, is built. In addition, the FCS vehicles, of course, equipped with an on/off switch. Faller as well as other companies now also provide laser cut street templates that can be used to quickly assemble roads. Made in Japan (not China)..
Tomytec is the largest toy manufacturer in Japan (yes bigger than Kato- although Kato is more well known in the rest of the world due to their better international marketing and distribution strategies), and releases some very nice trains, buildings, vehicles, accessories and trams (to name but a few lines) that will certainly add visual as well as fun-value to any modelers collection. ..a typical Tomy catalog easily exceeds 700 pages! While certainly not “German” Quality, the large range and affordable prices has firmly established Tomytec as the market leader in Japan – and let us not forget the size of the Japanese market..
Around 2011, Tomytec, introduced a very similar system to the Faller Car System (possibly licensing some of Faller’s technology), but with a much lower price tag. There are basically two significant difference between Tomytek and Faller, the one being the road construction (tomytec ships with scalextrics type road pieces with the guide wire pre-installed) and the other difference being the batteries used. (Tomytec uses disposable batteries (longer-lasting, but not rechargeable) and permanent magnets for controls). Building a fleet of busses is quite doable as a large range of bus bodies (sold through Tomytec’s Bus Collection ranges) are readily available and these can be readily/easily motorized using Tomix’s motor kits that have been purpose designed for this exact use. The bus itself has only one control, a push-button on the underside to start and stop the motor. With the motor running, the magnet attached to the front wheels will cause the bus to follow the metal wire under the roadway. Note: Wire sold for the Faller system works on the same principal, and can almost certainly be used if you wanted to make your own roads instead of using the Tomytec road segments. (although as noted in this article, the magnet strength is different so you likely can’t mix the two kinds of vehicles on one system without modifying the magnets and/or guidewire depth). The Tomytec system includes two magnets that clip to the underside of the roadway. When placed to the right side of the middle of the road (as viewed from the perspective of the bus) these will cause the motor to change from low speed to high speed or vice versa (although the two aren’t substantially different, they are different enough to be noticeable). There are two more magnets used in the bus stop. When placed under the center of the path of the bus, the long magnet (a permanent part of the bus stop) causes the bus to come to a stop until the magnet is removed (by pushing it to one side with a lever). However, if the second magnet is clipped to the bus stop, placing it under the center of the bus as the bus approaches the stop, the bus will stop over the long magnet, but restart on it’s own 7 seconds later (some documents say 10 seconds; mine stops for 7). Because the bus always follows the wire, and the wire is in a fixed position under the bus stop, the bus will always pull into the bus stop, even if the lever is set to “go” (which moves the magnet out from under the route of the bus, preventing it from stopping the bus). This looks a little unprototypical. Buses are also sold in starter sets. When first released, only a single starter set was available, called the Moving Bus System Basic Set A. 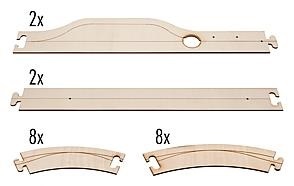 This set includes eight 70mm straight segments (3 of which are marked for a bus stop), and six each curves of 103mm and 140mm radius, which can form a very basic single-lane oval. By combining mutliple starter sets, the modeller could easily create a basic bus route. 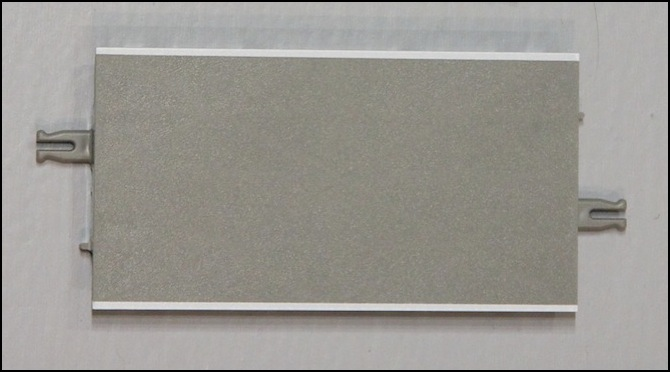 Roads and Tramway can easily be installed using the standard road/track segments, without the need to embed track and guidewire in plaster, or hand-make the same with sheet styrene as per the faller methods. Although more limited than the Faller vehicle system, as an accent to a carefully-planned scene on a layout, or a diorama, the Tomytec bus sytem can cost-effectivly introduce moving vehicles to any layout. Some more sophisticated control systems (e.g, traffic lights with electromagnetic stop controls like Faller’s) would also be useful. The DC-CAR system has quite a following with the company saying they have sold over 14 000 decoders (1 decoder = 1 vehicle). The Company has developed a nice solution with add on components to grow your layout. Of the different car-systems currently available, this system (currently) gives the modeler the most choices when it comes to custom vehicles, vehicle decoders, vehicle control, traffic control, I dare say Faller needs to wake up! Essentially the DC-CAR system allows you to operate as many cars as you want.. I would however caution on this, as yes, in theory you can have as many cars as you want , but the moment you add computer control with feedback, the “unlimited” quickly turns into an more realistic 100 – 200 vehicles, as you simply won’t have enough processing power. The Dinamo/MCC is a system to control speed, lights and other functions of model cars in a very realistic way. 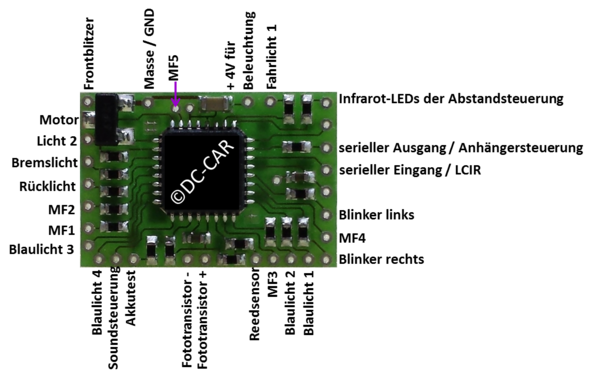 With Dinamo/MCC every car is equipped with an addressable decoder. The decoder controls motor, lights and other functions of the car. The cars are under full command of a PC, which receives position-feedbacks from the road and uses that information to guide the cars. 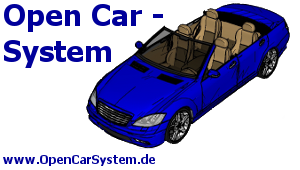 This system is somewhat comparable to the DC-CAR System as well as Karsten Hanafy’s infracar. The main aim of the OpenCar system is to develop a comparable system but with a low price tag and an open architecture (freely accessible system parameters) based on Open Source licensing. The downside to the current design is that limited of-the-shelf products are available – and this means the average modeler will have a difficult time assembling a working system. So because the project is not driven by a commercial interest, it does mean that you will probably have to tinker a bit to get your car system up and running smoothly. Additional information on the OpenCar system can be found here. Ok, so hopefully this article will inspire you to want to add some moving vehicles to your layout !